Last year, the silver market faced a challenging environment which was reflected in a muted price performance. Preliminary estimates point towards a minor 0.3 percent increase in total supply whereas demand contracted 3 percent. A slowing Chinese economy, coupled with rising U.S. interest rates, an equity market bull run, and global trade tensions, affected the price performance across many markets, including gold and silver. 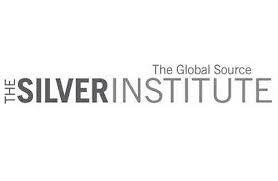 Silver physical investment demand is likely to increase by approximately 5 percent in 2019. Bullion coin demand has been strong in the United States during January of this year, and we expect sentiment in Europe, which rose by 6 percent in 2018, and India to be supportive of global growth as the year continues. Bullion coin demand in the U.S. fell last year, but non-bullion silver coins rose for the second consecutive year by 42 percent.